A career at R. G. Miller Engineers, Inc. is an opportunity to grow and work along-side a peer group of industry leaders in all aspects of Civil Engineering. We are a multi-disciplined, employee-owned engineering firm that recognizes and values the contribution of everyone as a vital part of the overall success of our firm. As an organization, we strive to provide proper training, support, and resources so everyone has the opportunity to realize their full potential. 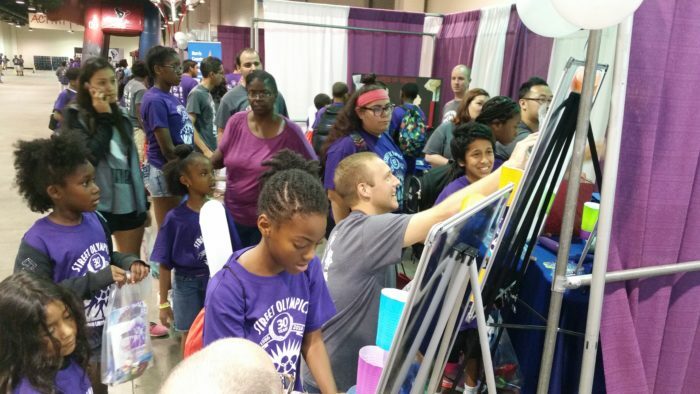 Employees volunteer at NRG Arena during the Annual Harris County Precinct One Bright Futures Fair.